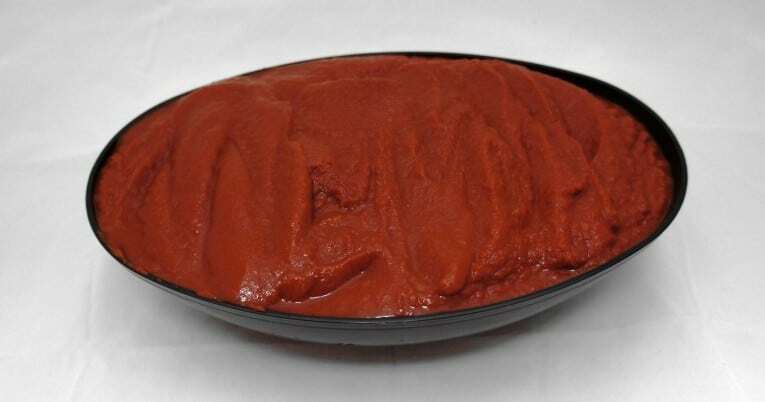 1.07 tomato puree is a standardized product. It is prepared from tomatoes that have been washed and inspected prior to being chopped, concentrated and finished without skins or seeds. No other ingredients are added. Made from fresh California, vine ripened tomatoes, High yielding, smooth finish, thickest of purees. Sweet flavor, cost effective option. Nice, clean, smooth mouth feel. Pasta Base, Soups, Thickening agent.